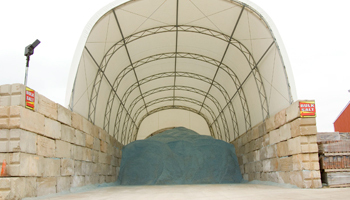 Dale’s will be stocking bulk salt, as well as bagged salt and ice melter. 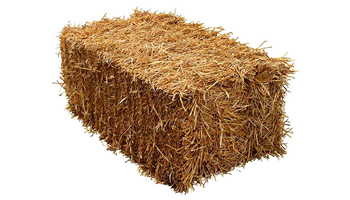 Dale’s offers direct shipments of both bulk and bagged products. Throughout the snow season we will be open 24 hours during inclement weather. Delivery service is also available. Call (586) 778-1919 for current pricing or to schedule a delivery. 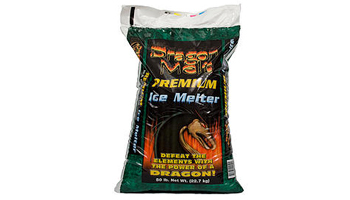 Melts quicker than rock salt, Dragon Melt is the safer option for driveways, sidewalks, and plants. Green in color, this ice melter will melt ice at -12°F. Dale’s sells Dragon Melt by the bag or by the full pallet. Direct Shipments of 18+ pallets available. Dale’s carries rock salt by the 50 lb bag. Whether you need a full pallet or just a few bags, Dale’s has you covered. Call for details on 18+ pallet direct shipment loads. 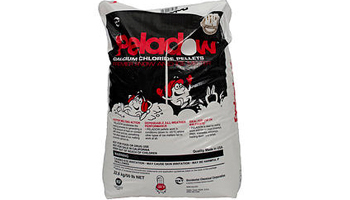 Peladow’s small white pellets are the fastest acting ice melt on the market. 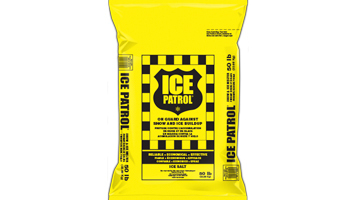 Proven to melt ice 2-5x faster than other ice melters, and can melt ice in frigid temperatures of -25°F. Dale’s sells Peladow by the 50 lb bag or by the pallet. Direct shipments of 18+ pallets are available. Call for details. 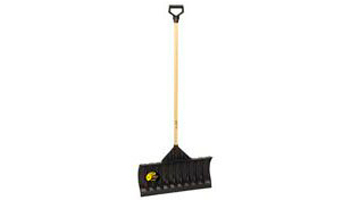 Dale’s supplies lightweight poly shovels made from composite materials resist breaking even during the most extreme weather conditions. 24” plastic blade with 48” wooden handle and plastic grip. 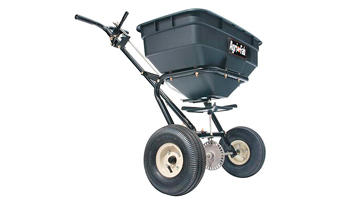 Dale’s offers 100 lb and 125 lb walk behind salt spreaders. 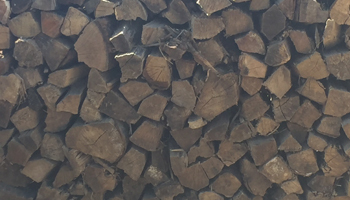 Dale’s offers well seasoned, mixed hardwood firewood. Seasoned for one year for easier, longer lasting fires. 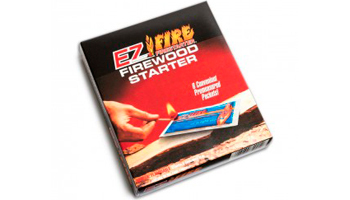 Now lighting a fire is as easy as striking a single match with EZ Fire Firestarter. Use EZ Fire to ignite all fires: home fireplaces, wood stoves, in your backyard fire pit or chiminea, when camping, or to ignite your charcoal grill. Each box contains 6 starter packets.